While Cycling in Miami is Hard, Following the Rules is the First Step. Cyclists are the Israelis of the roadway. Everyone around them hates them. And the people who surround them all believe their little sliver of land – be it a bike lane, sidewalk or West Bank - belongs to them instead. So cyclists have to be extra vicious and aggressive in order to survive. And while that kind of attitude is defensible when facing a perpetual threat of total annihilation, it’s a little extreme when going for some afternoon exercise. Understandable, Miami streets are dangerous for those on two wheels. 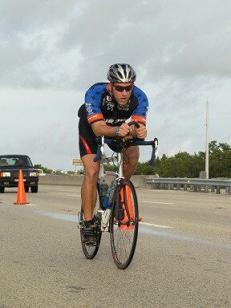 2009 saw 12 cyclists killed on Dade County roadways. Twice the number from 2008. And that problem is not exclusive to just Southern Florida; in that same 2008 where we only had six cyclists killed, the State had 125, accounting for four percent of statewide traffic fatalities. And while poor driving and a lack of bike lanes are certainly part of the problem, cyclists making poor decisions contribute as well. It is an odd phenomenon, but who among us has not seen a cocky cyclist breeze through an intersection when no cars are coming? I frequently find myself on my bike, stopped, waiting for the signal to change, getting yelled at and buzzed by other cyclists who think I’m wrong for yielding to lawful traffic. As a cyclist, if one is going to demand cars follow the rules, one should lead by example. And the majority of cyclists - as seen in our video above - keep to the right and are mindful of motorists. But the proximity to traffic leaves little margin for rule-breaking. It’s that percentage of cyclists who think they own the road who cause the problems. After my last article (In Miami, We Don’t Stop for Pedestrians) many people attacked me for being irresponsible and a danger on the roads. And much of this vitriol came from the cycling community. Odd, as I would wager I spend more miles on a bike than most of them. The difference is that I – like some others – understand that following the rules will get me a lot further than blatantly breaking them. While “Share the road” seems to be a rallying cry for those in the cycling community, many don’t seem to think that includes sharing it with cars. Drive north on Old Cutler Road on a Saturday or Sunday morning and you’ll be hard pressed NOT to be stuck behind a cyclist who believes his or her bicycle can take up an entire lane. Old Cutler, for those not in Miami, is a two lane road. Meaning a pack of cyclists going 20 miles an hour will hold up a line of cars behind it with little conscience. Others try and pass cars stuck in traffic on the vehicles’ right, thinking their slimmer frame somehow makes this maneuver perfectly legal. And while some do it with ease, others don’t fare so well. Many dart out into a steady stream of vehicular traffic, again assuming that because they’re not in a car, people will stop. Some do. Some do not. But better to have to take an extra few minutes on your bike ride and live to ride another day. It’s not only courtesy, it’s common sense. Furthermore, in order to bike safely you must accept drivers in Miami are not courteous. You can’t bicycle in Miami like you might on a bike trail in North Florida. And as spectacular as the views are from the Rickenbacker, taking the time to look at them can literally get you killed. Traffic will swerve into the bike lane. Cars will cut you off without signaling. And people will stop in your path to take pictures. On the MacArthur and Julia Tuttle Causeways, people are sometimes drunk, even in the morning. In Miami, you don’t just bike defensively; you bike like you’re under attack. So cyclists, maybe if more of us can start following the rules - you know the same ones we demand motorists follow – the roads can be safer for everyone. But as long as people in Miami ride their bikes with the same reckless disregard they drive their cars, the war for the roads will continue. Is it safe to ride a bicycle in Miami? "Safer Streets Starts With Cyclists"
Matt, to follow the rules you have to understand the rules. And there is one law in particular that you seem to be misinformed about when it comes to sharing the road and taking a entire lane, as you point to your example on Old Cutler Road. That is precisely the situation on most of Old Cutler road. State Law says you must ride as far to the right as practicable. It does NOT say as far to the right as possible. A rider that takes the lane isn’t doing it to be “cocky” or “self-entitled”. They’re doing it for their safety. I was run off the road and sideswiped while trying to stay too far right, fell off my bike and broke my elbow in which I am still recovering. Had I taken more the lane, the driver would have passed me when safer for both of us. Also I don’t know why rolling though an intersection when clearly no cars are coming is considered “cocky”. Some states even have laws that allow bicyclists that. Coming to a compete stop under such circumstances is like having a driver put their car into park and remove the key from the ignition at each stop sign. When a lane is too narrow for a bicycle and a car to share safely, the cyclist is entitled to the use of the entire lane. Craig, again you miss the message of what we are saying. Just because cyclists are “entitled” to ride on Old Cutler Road, does not make it safe. I think it’s very irresponsible of you and Transit Miami to condone such irresponsible behavior. You should pull your head out of all these books you keep citing and go ride around, before sounding of with your opinion. Would you tell your mom to ride her bike down Old Cutler? My mom may feel more comfortable on the multi-use path on Old Cutler where it exists. I prefer to ride on the road in that particular area, in exactly the same manner I mention. There is nothing “irresponsible” in riding a bicycle in a legal manner. Now some may feel perfectly “safe” and others may not. It’s up to the user to decide where to ride and what their comfort level is. Now, in some cases, you may find yourself on a road like Old Cutler by necessity or by accident. In which case, it’s wise to know what the law allows you to do and what the safest manner is, which again, is taking the middle/right section of the lane. Matt, the phrase “War for the roads” is pretty much exactly what’s occurring in Miami and on the beach. Driving my scooter all of the time, it’s very easy to see that the blatant disregard for the law on the part of pedestrians, motorists, AND cyclists is a large part of what makes the roads unsafe. On the beach, the casual cyclist as well as the sport cyclist act as though laws are only guidelines. Motorists, the same. Pedestrians act with the most caution as I think they realize they’re the most vulnerable but still. Previously, you wrote about efficiency. I honestly believe if people simply obeyed the rules of the road and, more importantly, the laws were aggressively enforced, it wouldn’t be long before we would be not only a more efficient city but a safe and respected one as well. It’s time that lawmakers and citizens alike took the matter of road safety seriously and not simply dismiss it as a less than important issue. It’s a change in attitude and it has to come from those in control. Great video and article, by the way. Now we only need one featuring pedestrian’s sense of entitlement and we’ll have covered them all. Whether we cyclists have the right to use lanes or not, it’s not safe. Do you really think Miami drivers give two hoots for the FL law that states we can use the entire lane? Hell no. I don’t own a car. I own a bike and use it to go everywhere. I have been knocked off it. I have had car doors opened on me when riding on the side of the street by parked cars. I have also had cars overtake me and then turn right in front of me, and if I did not ride defensively as Matt suggested, I’d have been knocked off numerous times. So great article Matt, cos until people drive safely in their cars, I won’t feel safe on my bike. This article is just so, so sad. You realize you’re advocating kowtowing to cars right? You’re advocating cyclists of all stripes - hobbyists, racers, commuters - simply restrict themselves to the handful of disconnected bike lanes in Miami-Dade County, if that. Beyond the argument that all cyclists should obey the same laws as drivers, you’re advocating a deathblow to Miami’s cycling community that’s just beginning to get itself organized. Yea it’s a little crazy out there and everyone could be more courteous. But getting off the road, giving in to cars and car culture will ensure that no serious attention is paid to cycling and no serious dollars are committed to putting in any real bicycle infrastructure in place. More bike lanes, separated bike lanes and all that stuff Craig screams about daily, could create a system, should create a system, where nobody is in each other’s way. I love riding my bike. I dropped ~30 lbs two years ago and cycling is the only kind of exercise I’m excited to do, the only one I’ve done with any consistency. The best part of my day is when I get off the Douglas Metrorail station and ride my bike down Bird Road to my office. Sometimes I ride on the sidewalk because people are driving crazy, and sometimes on the street when it seems safer. I don’t want to give that up. Cyclists need to realize that it is not only not very safe to take up a whole lane on a two lane road, it’s incredibly inconsiderate of motorists behind them trying to go more than 20 mph. Now, as a cyclist when I hear a car behind me I get as close as physically possible to the right so they can pass quickly. I do hate when drivers stalk me, though, too afraid to pass. Stresses out my ride. Riding on the SIDEWALK? First, as a cyclist I can’t even handle that what with dodging all the lampposts, benches and pedestrians. But past that, that creates a very hostile, difficult environment for anyone walking. I don’t believe I’ve ridden on sidewalk since 2007, when I first started riding sport bikes. Craig, please tell your mom she can only reach the bike lanes on Old Cutter by riding through mile-long stretches of dark and dangerous roadway. I want her to know, there is no shoulder on the road where she can go if a driver gets too close. It’s a VERY dangerous place to ride a bike. 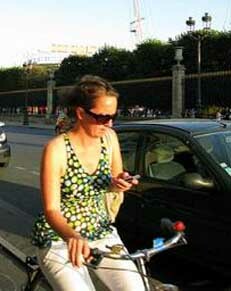 There is nothing “irresponsible” in riding a bicycle in a legal manner. You’re wrong. There is something irresponsible about riding a bicycle on a dangerous road, when the locals are telling you how unsafe it is. Would you swim in dangerous surf conditions, just because there no law against it? I’m guessing you would, just to prove you’re right. Easter 2008! Jews on Bikes! Jews on Bikes! The Israelis of the roadway! I’m having trouble with the logic in this discussion. On one hand, Meltzer says cyclists should follow the rules, which I agree with. On the other, it is being suggested that some roads are unsuitable for cyclists, whether they follow the rules or not, so they should just stay away regardless of their skill level. Old Cutler road is the example, but where does it end? By Gus and Meltzer’s subjective logic, are bikes being “inconsiderate” when they ride on Brickell Avenue? Coral Way? 17th Ave? NW 7th St? NW 36th St? Biscayne Blvd? Miami Avenue? NW 79th st? Who decides where is “considerate” and what isn’t? What is really “considerate” is when motorists respect people on bikes have a legal right to be on the road - any road - and they pass them safely, even if it slows them down for 10 seconds. Craig, I was prompted to start a discussion with you, based on your comment about Old Cutler Road. I thought it was irresponsible of you to use that road as an example, with it being as dangerous as it is for cycling, and then following it up by telling us about a law that says bikers are entitled to ride on any road they choose. I saw your remarks as giving people unsafe and bad advice, and I though it deserved to be addressed. For me, the issue is not about where cyclist are entitled to ride, or even about them following the rules, it’s about people biking where it is safe. And I see too many people riding bikes on Old Cutler Road and Bayshore Drive, where it is not safe. That being said, no matter how much a motorist is inconvenienced, they should always yield the way to bikes. My worry is for bikers that the motorist does not see, because the choose to ride on a dangerous road. If you are seeing a lot of bikes on those roads then you should realize that is statistically making the road safer. More bikes on roads actually lowers the risk of car vs. bike and car vs. car crashes because motorists are more likely to expect other road users, be more alert and operate with more care. I can send you those studies if you’d like. So if you are interested in safer streets (for motorists as well) then you’d see that having “too many people riding bikes” on those roads is actually helping to make them safer. Enough of this thread for me. Have a good day. Do you have a single fact to back up the ‘danger’ for cyclists on Bayshore or Old Cutler? This is a very serious discussion that merits using more than Twitter’s 160 character limit, so I am going to answer Craig’s question here. I feel that I have two strong facts to support what I said. First, Miami’s reputation for drunk and aggressive drivers is a pretty strong fact. In the last few weeks, at least 6 people died and 8 people were injured due to aggressive driving. Second, I think the cycling video we made clearly shows how dangerous these roads are. Craig, you are coming across like a one of those very irrational guys, who always has to be right. No level-headed person would try to defend the idea these roads are safe for biking. You claim to be a champion for public safety, but you’re sounding like a kook. Can’t you just admit you’re wrong about this one? Busy one lane roads, without a bike lane are not safe for cycling - Stop trying to tell people otherwise. What will you have to say for yourself when someone gets hurt? Gus there is an enormous gap in “perceived risk” and “actual risk” when it comes to different types of roads. Please look at this image, which came from a national study in Canada and presented at this year’s Velocity conference. Problem is, it’s not the reality. There are more observed crashes, accidents, falls, injuries on the sidewalk. Major streets with multiple lanes and parked cars fare the worst. 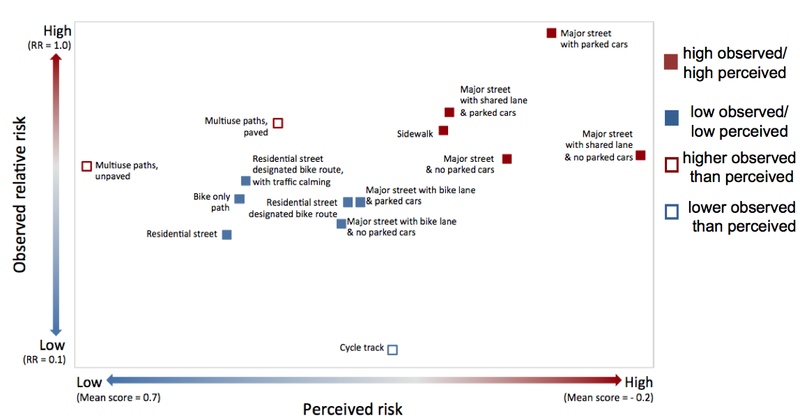 This study even found more risk on multi-use paths because of the unpredictability of the speeds of other users. Does Canada mirror South Florida? In some ways yes and some ways no. But there are busy roads, quiet roads, paths, arterials, residential streets and collectors there just like as we have here. And this study mirrors many findings from the USA as well. Just took me a while to find this particular chart. For more Miami example, ask any police officer where they respond to the most bicycle crashes. Or do a records search yourself. It’s not where you think. Uh Craig, you do realize that it was highly observed too right? You know out of the 14 different scenarios it was at least the 5th most dangerous observed place, putting it roughly in the top third of most dangerous ... observed. If anything the image tells me is that there really is not a whole lot of safe places to ride other than a cycle track, or as I’ve been telling commando bike riders for years, residential streets. Someone who cares for me a lot once said to me, “When you ride the bike, always assume that the cars don’t see you.” That advice has helped greatly, and is very true in many instances. I like this article, Matt. It helps remind me of how important it is to go by the rules as a cyclist. When I run a red light on my bike and all of a sudden see a police car pop out of nowhere, that also reminds me of the rules. I think many times in the past I’ve been forgiven for making a bad move as a biker (maybe because I’m a woman?). Nevertheless, I always raise my hand up to signal a “sorry” or a “thank you”. Eye-contact also helps tremendously, if there’s time for it. That’s a good basis, even if just short-lived (I’m sure I’ll never see the driver in that car ever again in my life) for establishing respect for each other and acknowledging one another. Sometimes it’s hard to communicate with a driver, since we’re talking about a matter of seconds here. But with foresight and anticipation of your next move you have a better chance of doing so. As someone on a bicycle you’ve got to learn how to yield to any motorist; you’re better off with a humble than arrogant attitude. If you think about it, if it’s between you and a car, who’s going to win? You’re the one in the vulnerable position, and if your life is dear to you don’t risk it by provoking a collision out of a feeling of entitlement to the road. Many cyclists take advantage of the fact that they’re clearly more vulnerable than a person in a car, and therefore believe that, in a given situation, a car will have no choice but to yield to the cyclist if they (the drivers) don’t want to be responsible for a fatal crash with a cyclist. Those are mind games, and as Matt pointed out, not every driver can be expected to give in to it. You can get yourself killed keeping up that attitude. What bugs me a little about bike paths, and where I see a major disadvantage for cyclists, is that we don’t get the smooth ride that cars enjoy. Many bike paths I’ve ridden on are bumpy from trees’ roots pushing up the pavement or fallen off branches. But since there’s not much I can do about it, I’ve learned to accept those bumpy conditions. Who said life was fair? I live south on Old Cutler near the Marina Black Point. This area is loaded with bikers all the time and I have a few questions concerning such. 1st question is, if there’s a big wide bike path why are most of the cyclists still on the road??? The casual biker in shorts and a T-shirt on his mountain bike is on the bike path (intelligent) and the wanna be Tour De France folks in spanx are on the road. WHY?? Is there some kind of major cyclists contest everyday that I don’t know about? Are you winning points? Heading towards the marina there’s this brand new bike path, painted lanes, signs, everything and these Tour De France people don’t use it at all. BIG trucks pulling BIG boats are going up and down these narrow roads all the time. In the last 8 years, I’ve personally seen 2 cyclists hit on Old Cutler (hit and runs). Both people laying on the side of the road bleeding from the mouth and head, one of which I’m pretty sure died (God Bless his soul). In both areas there was a bike path on the side of the road that they were not using. Also, it’s very very rare for any of them to follow the law.